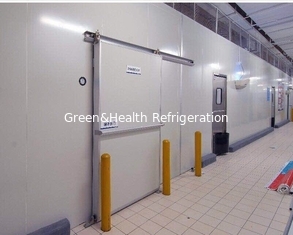 Green&heath frozen cold storage room adopts environment friendly R404a refrigerant. 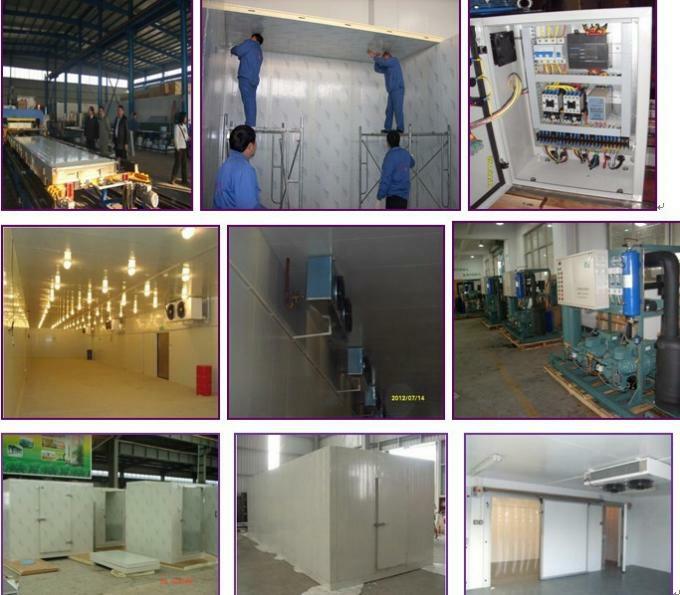 Capacity can be small to 2cubic meter, big to 10000cubic meter. 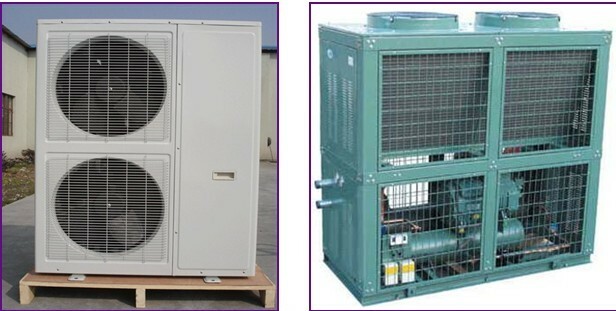 The temperature can be 2 to 8 °C for chilling storage, or -18°C ,-25℃ to frozen storage. 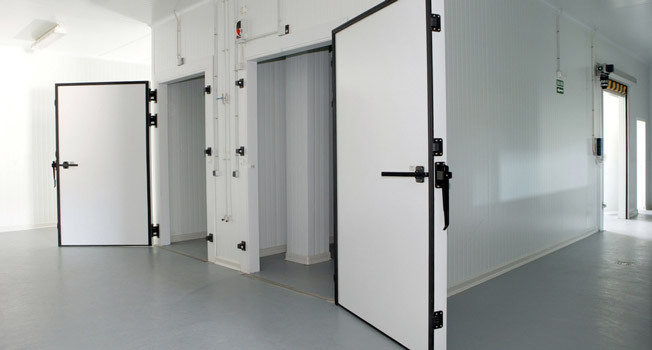 The frozen cold room is high quality such as high temperature resistant -60 to +80 celsius. Anti-sun photochemical effect, salt spray test 4days, painted inner interlayer thick 0.5mm, shear stiffness 0.1MPa, inner core materials fire resistance B2. 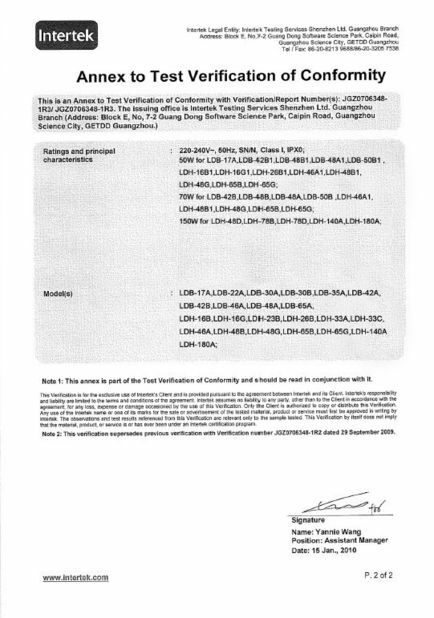 Roof load 1KN/M2 water-proof 0.2Mpa, 10mm/min, 30min, endure. 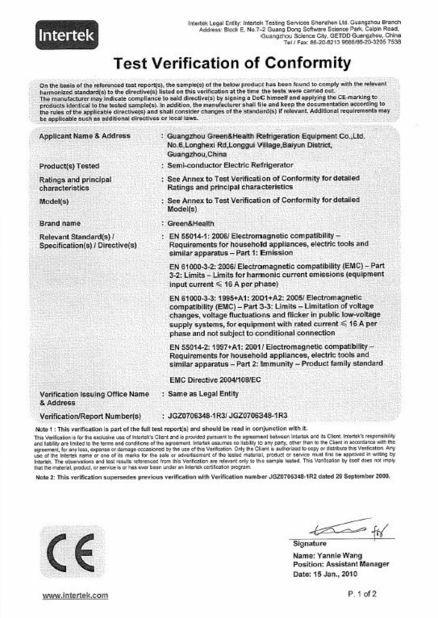 It is fire resistance according to B2 of GB 8624-1997. 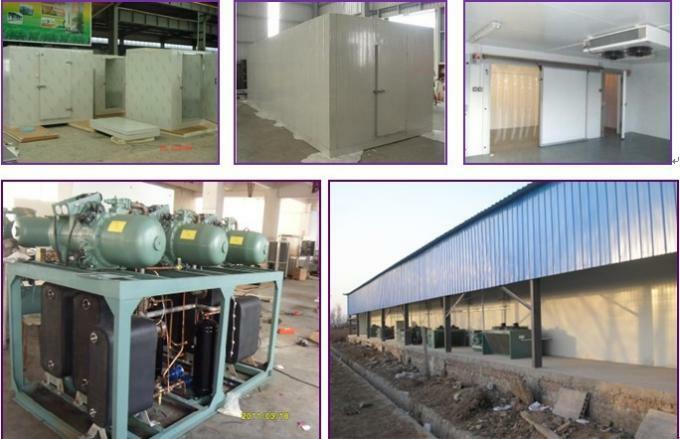 << buiding materials >> burning relative humidity 5% to 99%. Loading on floor 6KN/m2. 1.1 Sliding door, manual opening and closing. 1.2 When door is opened, the air curtain machine and lights in cold storage can be running automatically.